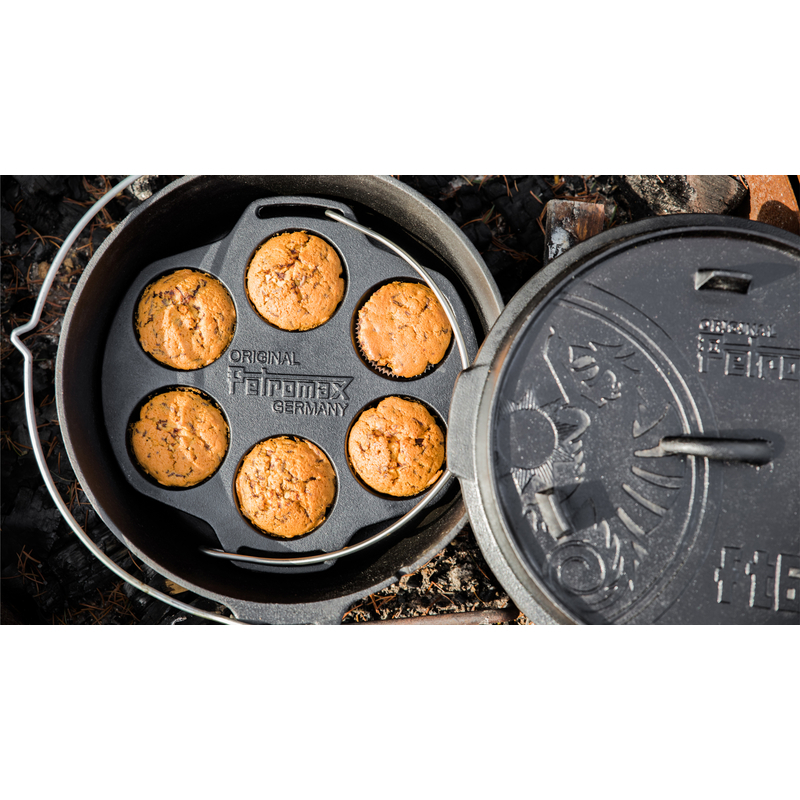 The Petromax Muffin Tin is perfect for the outdoor kitchen, ideal for forest school as as well as Scout groups and groups. 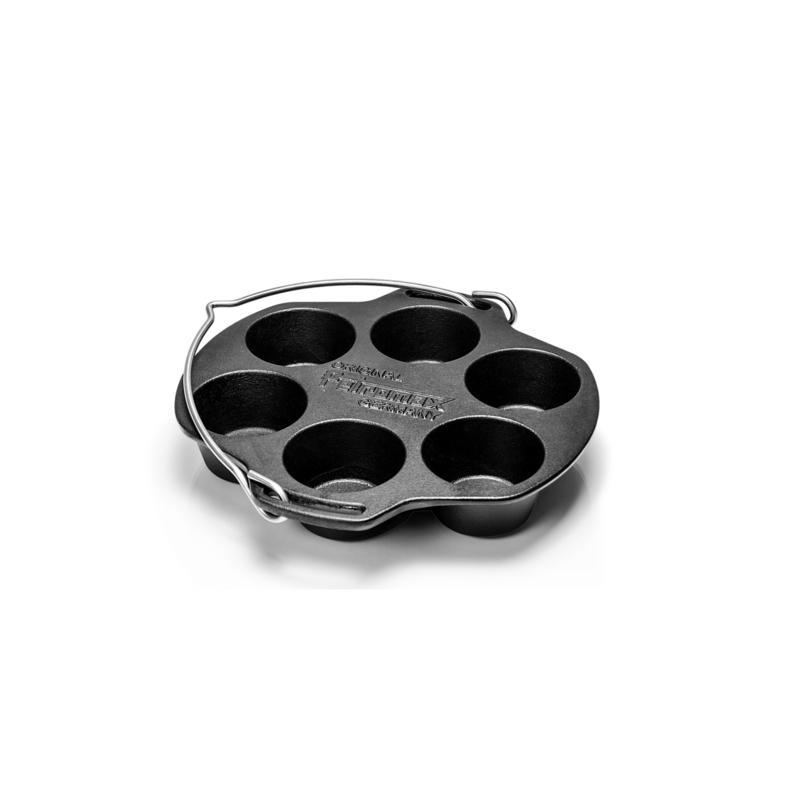 The round baking tin made of cast iron and can bake six juicy muffins at once. You can make savory and sweet muffins or pastries. 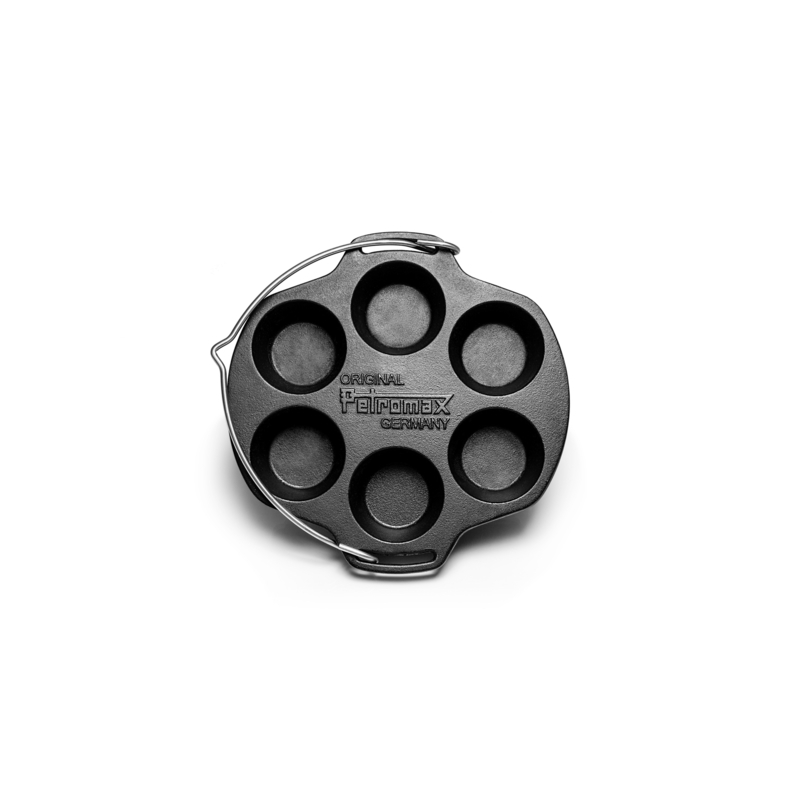 The Muffin Tin is particularly practical to use in the Petromax Dutch Ovens FT-6 or FT-9. You can pile coals on the lid as well as underneath the Dutch Oven for sufficient top and bottom heat and the muffins are evenly baked thoroughly. 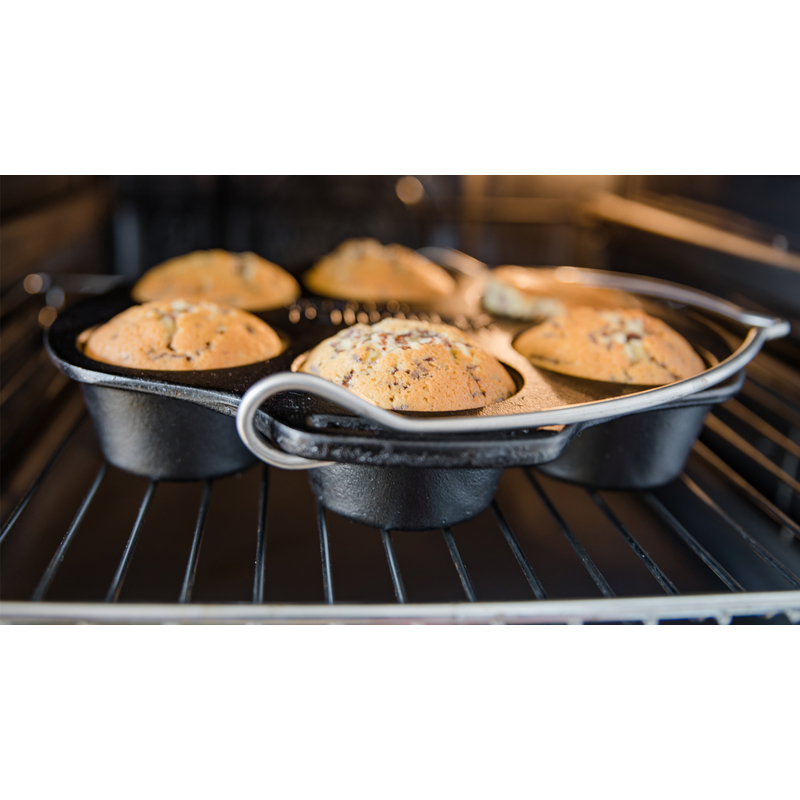 By using this muffin oven, it should be noted that while using the Dutch Oven FT-9 a Cast-Iron Stack Grate or Trivet (sold separate) should be placed in the pot before inserting the Muffin Tin. This is to ensure that a small gap remains between the cast iron muffin tin and the Dutch Oven. Dimensions: 11.7 x 1.7 x 10.7"